If you make your home at our apartments in Littleton, CO, there’s a good chance that you’re overwhelmed by the beauty of the Centennial State. After all, when you take a step back and look at the mountains, it’s hard not to be thankful that we’re surrounded by such amazing scenery every single day. When you live at Summit Riverside Apartments, you have access to a number of incredible amenities, but that doesn’t mean that you won’t want to get out and explore from time to time. Even under the best of circumstances, many of us yearn for a little bit of adventure every now and again. 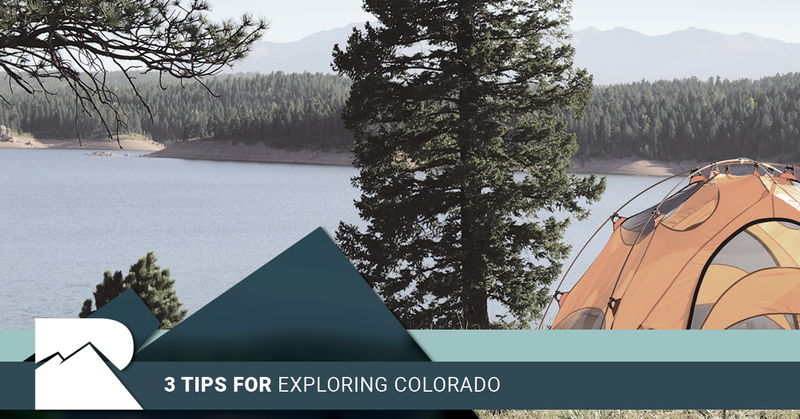 That’s why in today’s post, we’d like to share a few of our favorite tips for getting the most out of your time in the beautiful state of Colorado. Whether you’re new to the area or you’ve lived here for years, there’s always something new to experience. Keep reading to learn more! Regardless of how long you’ve lived here, the truth is that everyone has at least a few places that they’d like to visit in Colorado. Of course this is easier for some people than others, but it’s never a bad idea to make a list of the places that you’d like to see. Whether that means carving out some time for a road trip to Vail or a journey to Rocky Mountain National Park in Estes Park, having a list written out is going to make it much easier to actually go and see the places that you want to see. There’s never been a better time to grab a notebook and a pen and start writing down all of the places you want to see. Not sure where you should go first? If that’s the case, why not just choose at random? Sometimes the places that we end up liking the most are the ones that we were the most uncertain of. The good news is that no matter where you go, you’ll be treated to beautiful scenery on your drive. There are also a number of truly amazing restaurants all around Colorado, so even if nothing else goes according to plan, you’ll still be able to enjoy some good food, and at the end of the day, the food can sometimes be the highlight of the trip no matter how much fun you had. Last but not least, we’d like to advise our readers to be spontaneous. Have a weekend coming up and nothing planned? Hop in the car and start driving. Trust us when we say that sometimes the best trips are the ones that you didn’t plan for. Being spontaneous forces you to interact with other people, and rather than planning out every last detail of your trip meticulously, you could instead opt to ask the people you meet for recommendations on everything from lodging to restaurants to local attractions. Regardless of what you hope to get out of a trip, making a spur of the moment decision is likely to get you out of your comfort zone, and that’s never a bad thing. Searching for Apartments for Rent in Littleton? When you’re exploring Colorado, it’s good to have a base of operations and if you’re looking for the best apartments for rent in Littleton, we have you covered! At Summit Riverside Apartments, we offer a number of different floor plans, so whether you’re looking for a studio apartment, a 1-bedroom apartment, a 2-bedroom apartment, or an apartment with a loft space, we have you covered! With stainless steel appliance, full-size washers and dryers, designer flooring, wood-burning fireplaces, central heating and air, and more, it’s hard to beat the experience that you’ll have at Summit Riverside Apartments. Perhaps best of all, you’ll be living in one of the best cities in Colorado! When you make your home in Littleton, you’re close to all of the best things that this great state has to offer. Don’t take our word for it, however. Contact us today to schedule a tour and see for yourself just how great it can be to live at Summit Riverside Apartments. We look forward to hearing from you!